The mean and median salaries offered to 366 students at IIM Kozhikode during this year’s final placement rose nearly 16 per cent each to Rs 20.6 lakh and Rs 18.5 lakh per annum, respectively, with Amazon, Boston Consulting Group, Deloitte, EY, Goldman Sachs, HUL, JPMorgan Chase & Co, Optum and PwC featuring in the list of the major recruiters. Last year, the mean and median salaries offered to the institute’s students stood at Rs 17.8 lakh and Rs 16 lakh per annum, respectively. 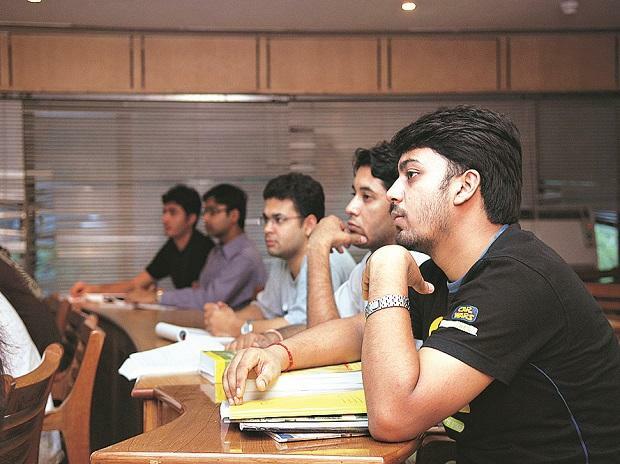 The top 50 per cent of the students who appeared for interviews with the recruiters, bagged an average CTC (cost-to-company) of Rs 23.73 lakh per annum, which is a 13 per cent jump over last year. Although the 21st batch of the post graduate programme of IIM Kozhikode (IIMK) consisted of 373 students, seven opted out of the placement process. A total of 390 offers were made by 107 recruiters to the 366 students who participated. This season, the number of offers and the roles in consulting and finance domain surged as compared to the last year with 21 new recruiters participating in the placement process. Bain & Co, Citrix, Exide, Everest Management Consulting, HSBC Securities, IQVIA, Of Business and State Street were some of the new entrants. Debashis Chatterjee, director at IIMK, said, “We completed our placement process within a record of six days and for the first time attracted top three consultancies like McKinsey & Co, BCG and Bain & Co. on day zero. We believe in constant innovation and will continue to innovate to remain relevant to the larger world”. Out of the total total offers made, the consulting domain, led by McKinsey & Co, BCG, Bain & Co, Avalon Consulting, Cognizant Business Consulting, Deloitte, Everest Management Consulting, EY, Feedback Infra and PWC, offered 117 job roles comprising 30 per cent of the total batch. The BFSI cluster, led by American Express, Citibank, Deutsche Bank, Fidelity Investments, Goldman Sachs, HSBC Securities, JPMorgan Chase & Co, and State Street, made 21 per cent of the total offers. Diversified marketing opportunities were offered to 18 per cent of the batch by companies like Asian Paints, Bajaj Auto, Dr Reddy’s Laboratories, GSK, Hindustan Coca Cola Beverages, HUL, ITC, Kohler, Nestle, Samsung and Shell. Offers in general management and operations roles, which comprised 14 per cent of the total offers, were made by Capgemini, Flipkart, Mahindra, Reliance, TAS, Tata Sky, Asian Paints, Maersk and RPG. The information technology and analytics cluster contributed with 17 per cent of the offers through marquee recruiters like Citibank, Citrix, Cipla, Fidelity, Microsoft, Mondelez, Optum, Shell and Wipro. “We have not only seen a significant surge in the pre-placements offers but also have witnessed offers for niche roles by consulting and finance clusters”, Shovan Chowdhury, chairperson of placements at IIMK said. Established in 1997, IIMK also offers reduction and scholarships to its students to overcome their financial burden in course fees. Around 10 per cent of its students come from families which have an annual income of Rs one lakh and less.